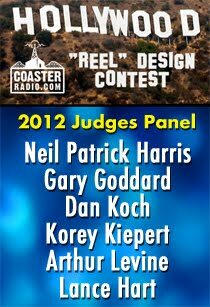 For the fourth year in a row, Layer Elementary and Lawton Elementary have asked the listeners of CoasterRadio.com to help them crown a winner in their "Coaster Design Project!" The entries have been narrowed down to ten finalists and now it's your turn to vote! 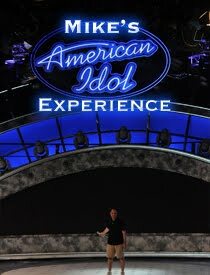 Watch all ten and then vote for your favorite! If you want, leave a message for the kids here on the blog or on our Facebook page! Thanks for voting and for supporting the students at Layer and Lawton Elementary! It's an off-season favorite! Part II of our 2016 Listener Question Show is here! Mike and EB tackle your pressing questions, both on-topic and off-topic! 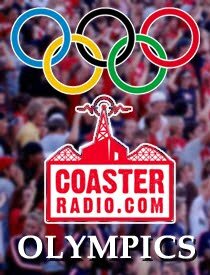 8:30 - Our celebrity "Free Passes"
11:27 - Reactions to "CoasterBoy Christmas Carol"
14:45 - What sports did we play growing up? 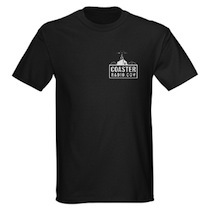 27:30 - A CoasterRadio.com Restaurant? 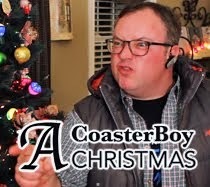 41:20 - CoasterRadio.com without Mike and EB? 56:53 - Which Non-American parks would we like to visit? 1:03:15 - What music do we like and dislike? It's an off-season favorite! The 2016 Listener Question Show is here! 2:20 - What was your most memorable ride with a loved one? 3:28 - Is Millennium Force scarier than El Toro? 4:25 - Where was your first kiss? 7:10 - Have you ever been embarrassed to admit that you host a podcast about theme parks? 36:54 - Will the Joint Chiefs Return? 38:52 - Have you ever seen a ride that you’re too terrified to ride? 43:56 - Should an alpine coaster count as a coaster credit? 46:10 - Holiday World’s Next Coaster? 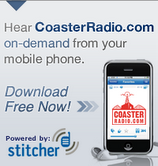 49:41 - Are theme parks better with alcohol? The 2016 Season will be here before you know it! To get you ready, we're joined by Arthur Levine, the theme parks expect from About.com to preview 35 different new attractions. Part I of this series was last week! Part II is here now! To get you ready, we're joined by Arthur Levine, the theme parks expect from About.com to preview 35 different new attractions over the next two shows. It's the FIRST show of 2016! Then, we'll let you become "CoasterDamus" and make bold predictions for the 2016 Theme Park Season. What rides and attractions will be hits? Which ones will be failures? What crazy things will happen at the parks this year? 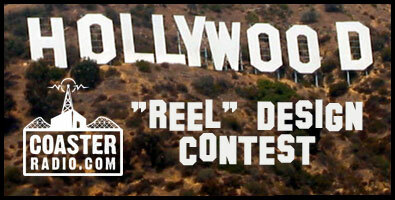 Plus, we announce the start of the 2015 Reel Design Contest! Listen for details!